She Writes Press, 9781631524233, 312pp. Contemporary legend says the business of high school is boring and must forever be that way--that its sole purpose is to deposit tidbits of knowledge into young minds and standardize the way each attacks the world. School Tales begs to differ. As is made clear by its five spunky student narrators, high school, the home-base social institution for teenagers, exerts powerful agency over answers to fundamental questions--Who am I? What do I want to learn? Am I able to direct my life? Can I trust friends to be there for me? How do I find a sense of purpose in contributing to our world?--and is a time of struggle with life's questions amidst intense pressure to make decisions by graduation and launch into adulthood. 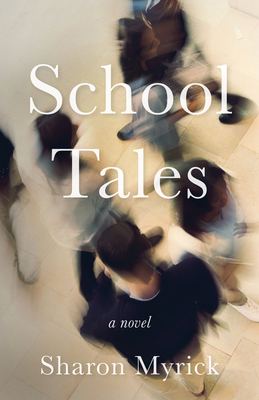 Students in School Tales, living in a small town of the southern Shenandoah Valley in Virginia, encounter a number of personal and public issues including racism, anxiety, shame, a cross-country move, gender identity, immigration, family instability, depression, lack of self-direction, abuse, and law enforcement. The lessons they learn in school include the meanings of freedom, success, friendship, exploration, inquiry, confidence, false either/or choices, and dreaming. As these students take charge of their learning, the true goal of high school emerges--and the result is a truly heart-warming view of students building what they would call "a life worth living.